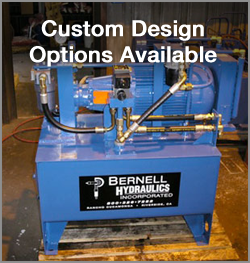 When you need a new hydraulic motor, Bernell Hydraulics is a great place to start your search. We can get you a new version of the motor you already have, or introduce you to high-performance Parker hydraulic motors in Norwalk CA. Parker motors combine long life, stable performance in rugged conditions, and quiet operation in a compact and easy to install package. Don’t trust this vital piece of your system to anyone else. Bernell Hydraulics is your top choice for any kind of hydraulic parts, including Parker hydraulic motors in Norwalk CA. Our staff members have decades of experience in hydraulic parts, and we only sell authentic, factory-certified Parker parts. Our relationship with Parker makes it easy for us to fulfill special orders for hard-to-find parts. We even have a fabrication shop where we can build custom mounts and hose assemblies to help you integrate a Parker motor into a custom hydraulic system.